Ready to enjoy high-end living in a home that’s easy to maintain? This modern home is packed with high-end features that make this the ultimate way to downsize, retreat, or offer as a haven for guests. 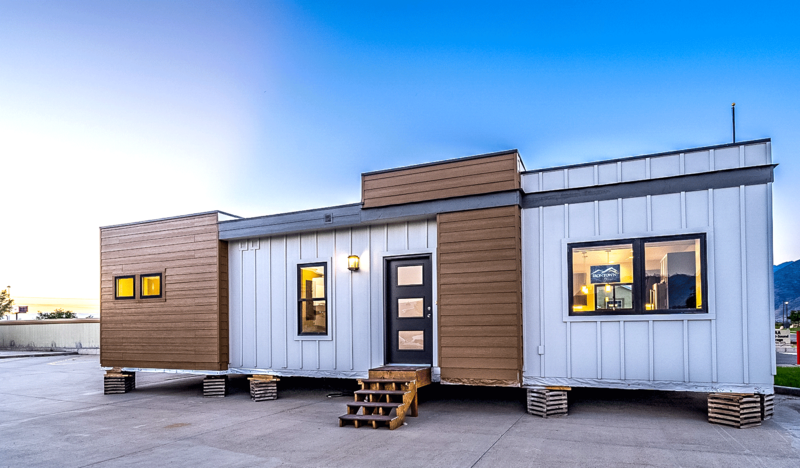 Our Spirit Model is ready to move where you need it immediately. 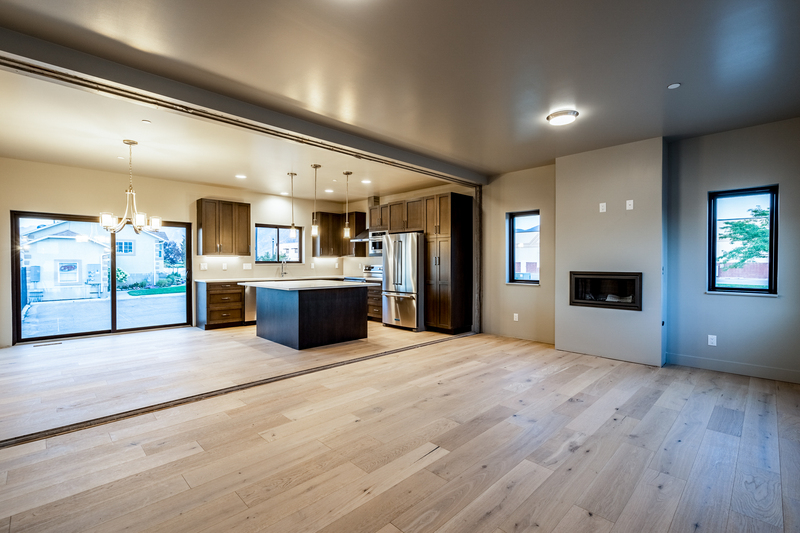 We know you’ll love how open the home feels and how much space it provides. With 2 bedrooms, including a master suite with a massive master bathroom, and 2 bathrooms, there is enough space to make it the perfect home for so many reasons. 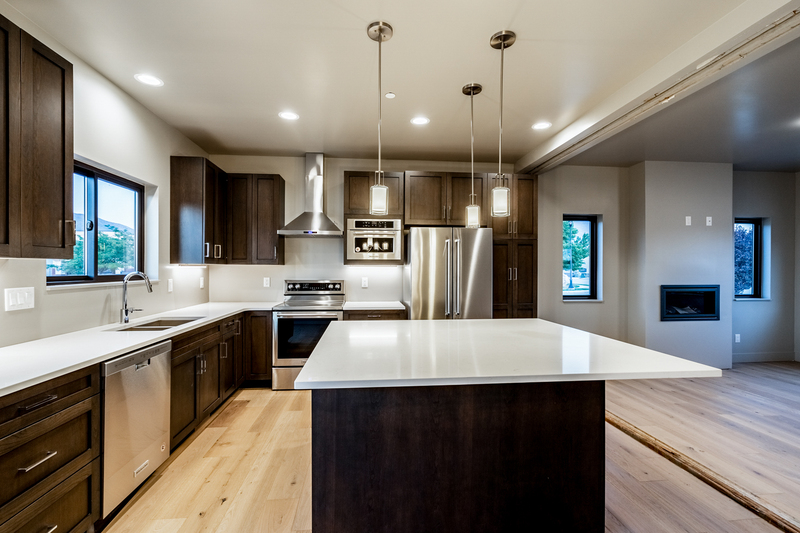 Enjoy the spacious kitchen that flows into the dining and living room and makes this home feel wide open. With the amount of space available, don’t be shy about hosting the party or bringing plenty of guests to your retreat. You’ll love cooking in this stunning kitchen that features Kitchenaid stainless steel appliances, clean, white quartz counters, and upgraded cabinets. An massive island with an abundance of counter space gives you all the room you’ll need to prepare any meal for any party, yet it’s the right size to keep the clean up from getting out of hand. 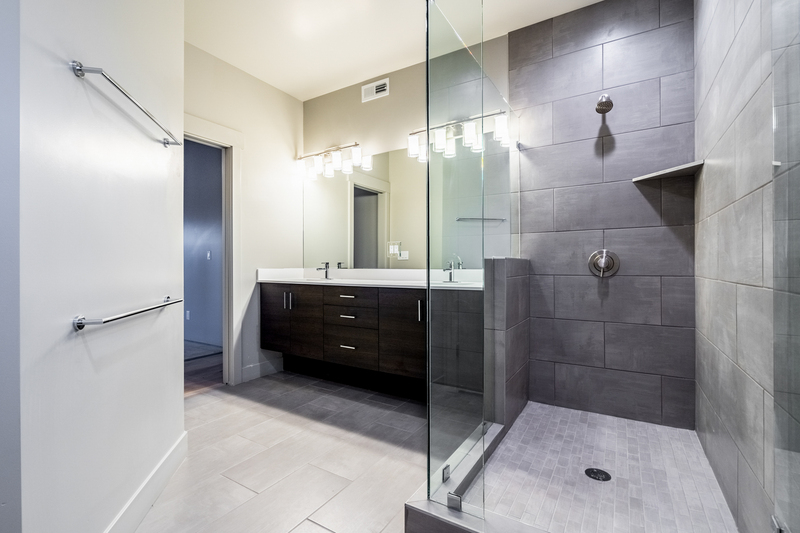 Enjoy spending your time in this gorgeous master suite and take your time to relax in the oversize shower. You’ll feel like you’re living in luxury with the European glass surround and floating vanities. And you get an elegant, rustic feel with the barn door in the master bedroom. This is one master suite you may never want to leave.